The nice folks at Idaho© Potatoes sponsored my creation of this recipe. Gnocchi, tender potato and flour puffs, made a frequent appearance on my dinner table before we went gluten-free, but alas, once we went gluten-free, finding any to purchase was difficult. They are so quick to get on the plate. It isn't truly hard to make, a combination of potatoes and flour, kneaded together to form a dough just a bit softer than pie dough. Now with Bob's Red Mill cup for cup replacement flour, making a batch is almost as easy as purchasing. I do take the time to make two batches at once, then chill the second batch for a truly quick dinner later in the week. The herb cream sauce with pimentos stirs together in minutes. Stir together in a sauce pot, bring to a simmer and hold for the gnocchi to be cooked. Directions: Click on through to the Idaho Potato Commission site for the directions. 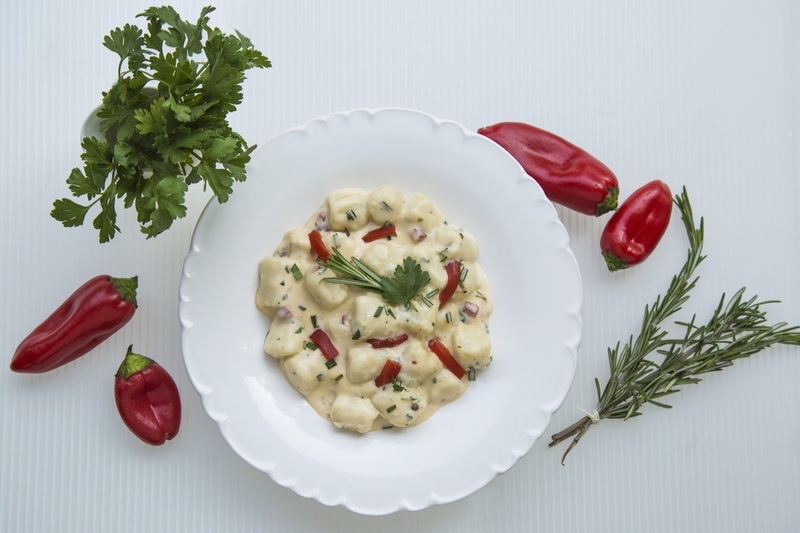 https://idahopotato.com/recipes/idahoc-potato-gnocchi-in-pimento-herb-cream-sauce As a proud Idaho Potatoes Food Blogger, I was compensated to develop this recipe.